Making project plans extremely efficient and integrating with complementary systems is key to making project/resource management useful, and we’ve got great news: Concerto 6 is here with major innovations in these critical areas! 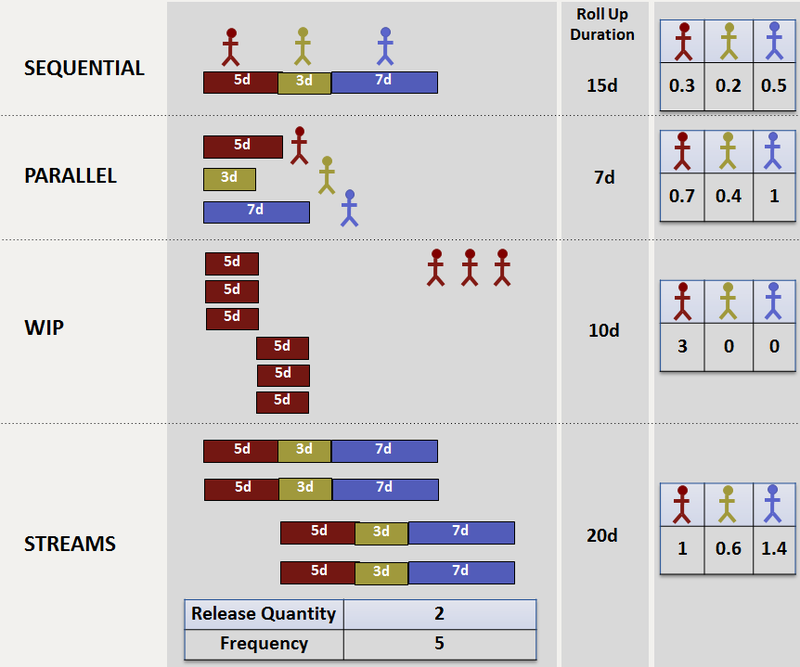 CCPM allowed variability in task duration through buffering and buffer management but it wasn’t a complete solution as it didn’t provide a practical solution for managing changes in scope, tasks and dependencies, forcing organizations to choose either high-level project plans that don’t help in day-to-day execution or very detailed project plans that must be continuously re-planned. Concerto 6 completely solves that problem with new Two-Tiered Tasks! This new way of organizing work as Tasks and Subtasks allows you to reduce the number of tasks in the Critical Chain network by a factor of between 3 and 10 while still capturing all the subtasks that Task Managers and Task Doers want for execution. These subtasks can be added, changed, or deleted without re-planning the entire project. Best of all, it also allows you to reduce task durations and project cycle times by ensuring better synchronization of subtasks in execution. 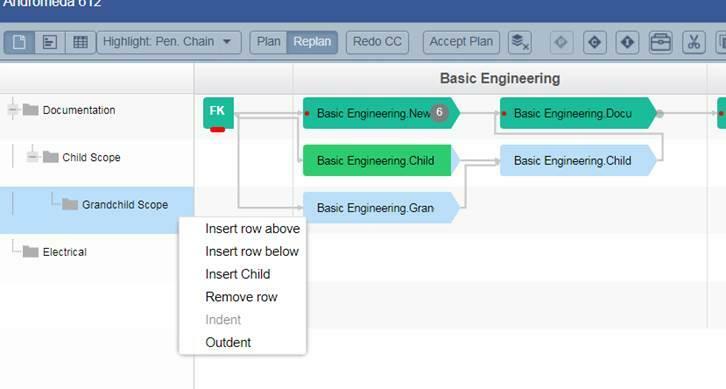 Coupled with a Process-Flow UI on the web, you’ll now be able to visualize an entire project plan on a single screen instead of scrolling around and losing sight of how tasks are connected. 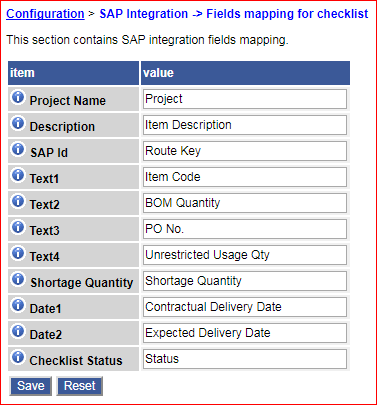 The second major innovation in Concerto 6 is its Integration Module which allows you to exchange data with Earned Value Management, Materials Management, Work Card/ Shop Floor Management, and Engineering systems, as well as project administration software such as Primavera. 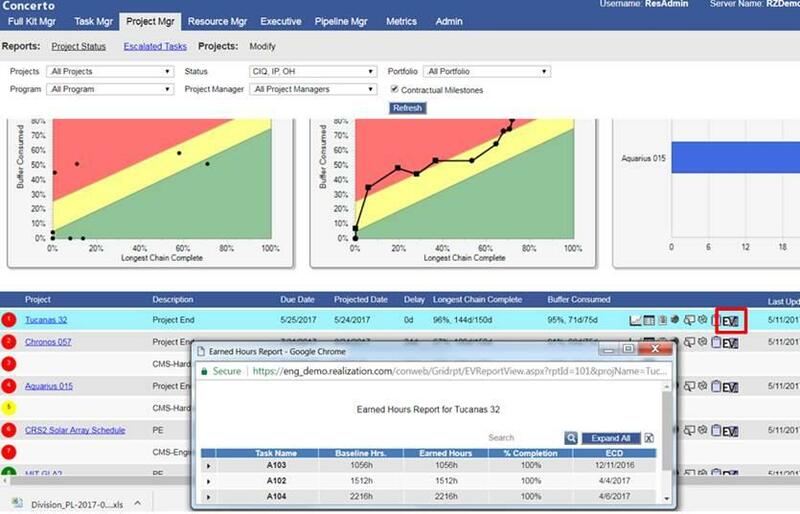 Concerto 6 also has new Pipeline and Resource Management capabilities. New Project Planning Module: fully web-based and (best of all) does not require MS Project! 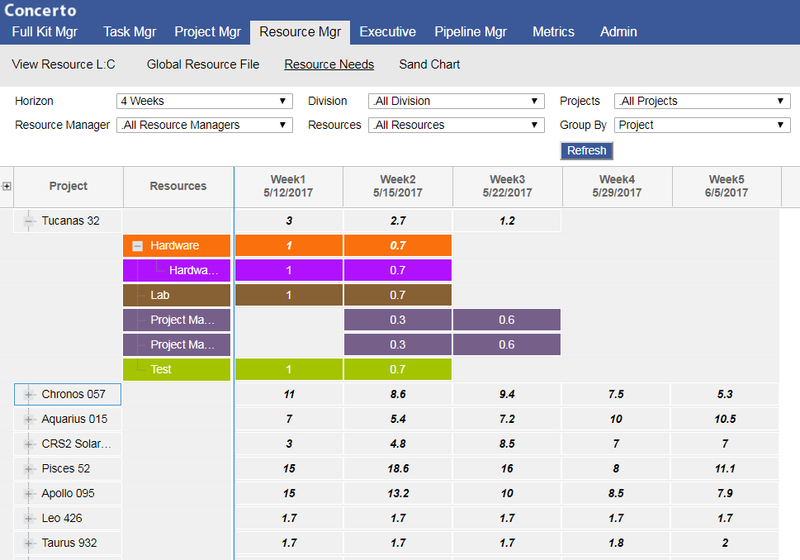 New Pipeline Manager Module: fully web-based, integrated with Concerto Web, does not require local desktop client installation or maintenance effort. Easy-to-Use and Easy-to-Understand pipeline user interface. Dragging the project along the timeline is now possible as a new way to manually pipeline the projects. Use phases as “drum” in addition to traditional resource based constraint; even the total number of projects in the pipeline can all be selected as constraint(s) for staggering the projects. Perform capacity what-if’s without cumbersome modification of global resource file. All new sand chart report displays forward-looking graphical view of the changes from aggregated loads of selected resources. 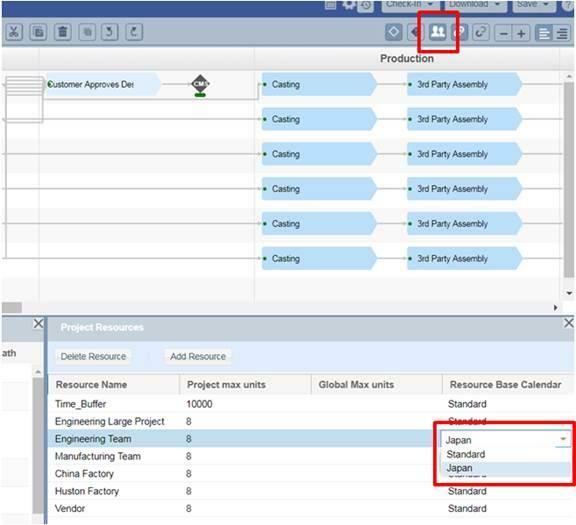 Global Resource File can now be managed via Concerto Web: add, delete, and modify resources and phases name and maximum unit. Set Reserve Units, designate calendar exception for variable capacity of constraint resource(s). 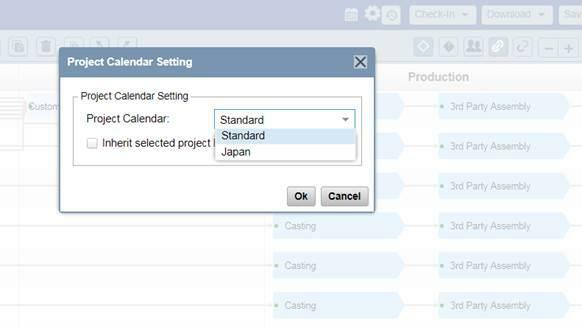 Create project and additional base calendars to model global resource pool collaboration and exceptions. 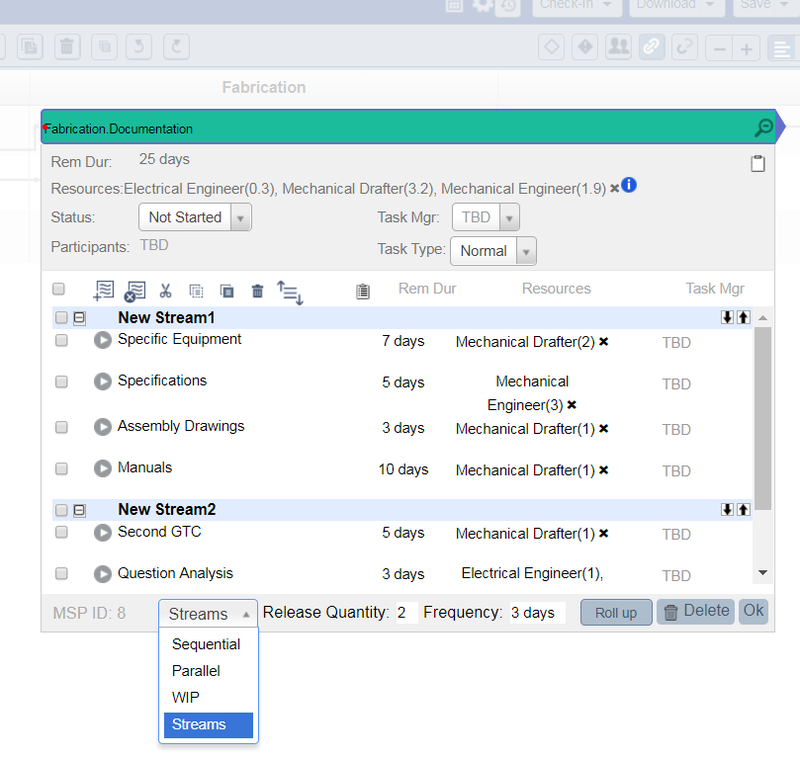 New subtask-only view to provide simple 3-Step management process: Upcoming-Current-Complete columns. This added flexibility allows subtasks owner to rearrange his/her own subtask priorities without being affected by buffer management process. The new Subtask View for Upcoming-Current-Complete buckets. 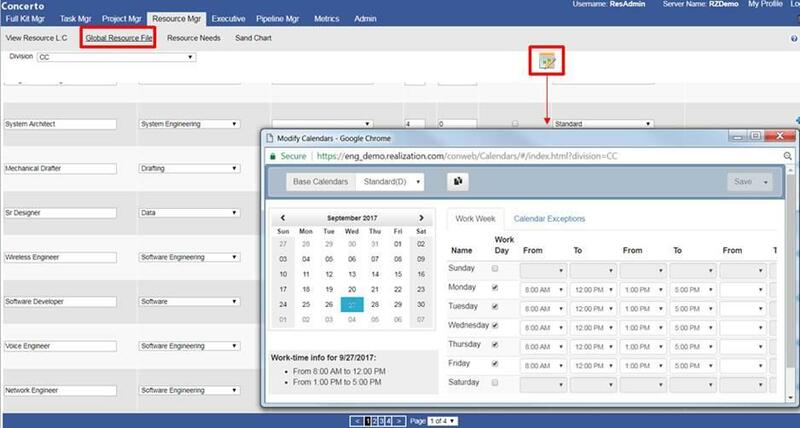 This added flexibility allows subtasks owners to rearrange his/her own subtask priorities.